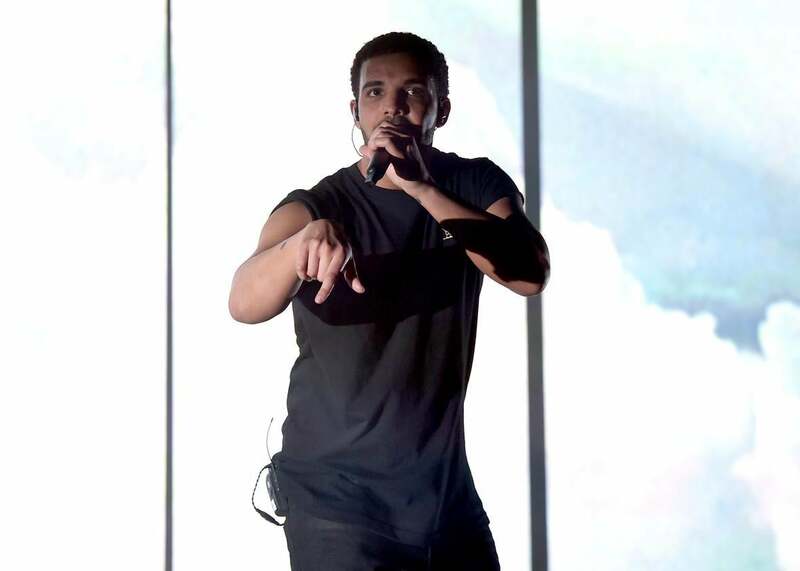 Drake, Meek Mill beef: How the introspective Canadian defeated the fierce Philadelphian. In another era, Meek Mill might have had the upper hand in his beef with Drake—an era before Drake rewrote all the rules. Drake performs onstage during the 2015 Coachella Valley Music & Arts Festival at the Empire Polo Club on April 12, 2015 in Indio, California. It’s difficult to pinpoint the precise moment of Philadelphia rapper Meek Mill’s recent demise, at the soft but mighty hands of Drake. It may have come as early as July 21, when Meek fired off a series of tweets complaining about Drake failing to sufficiently hype Meek’s recent album, Dreams Worth More Than Money, punctuating his grievance with a whiny accusation that Drake had enlisted the services of ghostwriter Quentin Miller on “R.I.C.O.,” a collaboration with Meek from said album. It may have been July 25, when Drake released “Charged Up,” or three days later when he released “Back to Back,” each smoldering Meek disses that contained pointed references to Meek’s more famous girlfriend, Nicki Minaj, whose “it’s complicated” relationship with Drake has been speculated upon for years. It may have been July 31, when an anonymous White Castle social media employee shamelessly exploited Meek’s ongoing woes to endorse an unholy product called “chicken rings.” Or it may have been Aug. 3, when Drake wore a “Free Meek Mill” T-shirt at Toronto’s OVO Fest and opened his set with “Charged Up” and “Back to Back” while treating fans to a PowerPoint presentation of anti-Meek Tumblr flotsam. Legitimate rap beefs are a relative rarity these days, and Drake v. Meek was the even rarer rap beef that crossed into the broader cultural consciousness. It did so partly because Drake is incredibly famous, and because in true Drake fashion, so much of what’s described above was ready-made for the Internet. There are thus a lot of people who’d never heard of Meek Mill before this, and given his somewhat goofy name and lesser public profile, might assume Meek was punching above his weight from the beginning. But Meek Mill is (or was) no joke—listen to the mindbogglingly charismatic title track from 2012’s Dreams and Nightmares, and I guarantee you will stop laughing at Meek Mill for at least its four-minute running time, and maybe even a few minutes longer than that. Meek also carries many more of the traditional signifiers of hip-hop badassness—including a hard-nosed Philly upbringing marked by brushes with the law that are still ongoing (Meek spent five months in prison just last year)—than Drake: a singing, biracial, twice–bar-mitzvah’d, Canadian former teenage television star. And yet one of the most remarkable things about the Drake–Meek Mill dustup is how distinctly Drake-ian it all felt, even though it was Meek who precipitated it—the weird and tawdry mix of sexual laundry-airing, quixotic vanity, and social media watching. We can all sit and cluck our tongues about whether this overshare-y soap opera constitutes “real hip-hop,” but in 2015, there’s no quicker path to going the way of Meek Mill than getting bogged down in that argument. The current world of rap is one that Drake has to no small degree made, and I think we’ve been living it for longer than we’ve been aware. The longer his career unfolds, the harder it becomes to shake the suspicion that when he finally hangs it up, Aubrey Graham will stand as one of the most consequential figures in the history of the genre. Right now there are three people in hip-hop who can shake the music world simply by lifting a finger: Kanye West, Kendrick Lamar, and Drake. Of the three, Drake is the most slippery and hard to define: Kanye and Kendrick make masterpieces that announce themselves as such almost before you’ve even heard them, while Drake makes works whose importance seems to accrue the farther we get from them. In the last four years he has released two legitimately great albums, 2011’s Take Care, 2013’s Nothing Was the Same. Last year he dropped “0 to 100 / The Catch Up,” a standalone single whose spooky throwback beat served as proof that Drake can drop purist bangers with the best of them, then a few months later remixed ILoveMakonnen’s “Tuesday” into one of the most memorable hits of the year. In March 2015 he released If You’re Reading This It’s Too Late, which is technically a mixtape but contains some of the best and most adventuresome music of his career to date. In all of this Drake has been gleefully smashing longstanding parameters of hip-hop stardom, both from a sort of affective, cultural standpoint—no rapper has so deftly exploited his own vulnerability, and few have even thought to try—and from a musical one. For a long while Drake’s strange mix of navel-gazing confession and unearned braggadocio made him a symbol of the Facebook-ization of hip-hop, triple-beam dreams turned to triple-beam memes. It used to be cool to be annoyed by this, but that’s over now: If you’re not marveling at what he’s doing, you’re not really paying attention. This isn’t just a matter of how good Drake’s music is—and it’s really, really, really good—but a matter of how it’s good. Drake is versatile in ways we’ve never really seen from a rapper, and I don’t just mean the singing—he’s able to make and remake himself and his musical persona, drastically and yet almost always seamlessly. He is a chameleon, but he is also a sponge. One of the most subtly amazing things about Drake is how open he is to musical influence, and how unabashed he is in appropriating it, perhaps more so than anyone in the genre before him. To take just a very recent example, on If You’re Reading This It’s Too Late there are vast swaths of the album in which Drake sounds an awful lot like Young Thug, the yelpy, crazily talented Atlantan who spent 2014 as rap’s Next Big Thing. The first time I listened to IYRTITL I remember thinking to myself, “wow, Drake’s been listening to a lot of Young Thug,” which shouldn’t have been a surprise, because during the period Drake was making those tracks everyone was listening to a lot of Young Thug. But then it dawned on me that I wasn’t sure there was any other rapper on Earth both brave and secure enough to leave himself open to such an observation. When it comes to its MCs, hip-hop has tended to fetishize individuality and originalism (as distinct from “originality,” which doesn’t mistake invention for the sole criteria of art) to a degree that often becomes constrictive. For a long while absorbing or mimicking someone else’s style—“biting”—was the cardinal sin of rap, an accusation that could be hurled at people who actively stole lyrics or at people who, in someone’s vague estimation, just happened to sound a little too much like someone else. Drake seems like the first rapper ever who’s resolutely unconcerned with being called a “biter,” which feels like a hugely significant development, and a good one. After all, appropriating influences—listening to music—is what great musicians do, and Drake’s listening skills rank with the very best. Not to get all rockist, but consider the early career of David Bowie—for delineation’s sake, let’s take the incredible swath that runs from 1969-1975, which roughly mirrors the same amount of time Drake has been a star. The material is remarkably diverse but the influences are awfully easy to spot: “Space Oddity” is Lennon through and through, “Suffragette City” is T. Rex to a capital t, “Rebel Rebel” wouldn’t have been out of place on Sticky Fingers, “Fame” is James Brown, “Young Americans” contains a direct quote from “A Day in the Life.” In all of this Bowie famously confounded rock’s previously held notions of identity and authenticity, and yet were anyone to stand up today and accuse David Bowie of being unoriginal, they’d be rightly laughed out of the room. Bowie is one of the most original figures in rock history, and his originality lay precisely in doing all this. Which brings us back to Meek Mill. Meek is a ’90s throwback in many ways, his voice and flow bearing the distinct traces of Jay Z, 2Pac, E-40. But the ghostwriting charge also felt distinctly ’90s, belonging to a moment when ideas about rap authenticity were more fervent, and frankly more naive. Drake may represent a troublesome rise of the beta male in rap generally, as some have recently argued, but as someone with vivid memories of 1996 and 1997, I’d rather my rap beefs skew beta than excessively alpha. And yes, Drake probably has used ghostwriters, but the fact is that attacks on Drake’s realness no longer matter, because Drake has brought us to a point where we don’t care—realness, after all, was always something you had to choose to believe in. Back in 2013, I reviewed Nothing Was the Same for Slate, and rereading it I find the tone off-putting: Even though I really liked the album I was irritated at Drake for making me admit it, for making me realize that maybe some things that I’d long imagined that hip-hop should or shouldn’t be were wrong. That was stupid, and I’m a little ashamed of it; after all, what more can you want an artist to do?